New Hampshire's Republican governor has joined Democratic congressional members in expressing concern over Education Secretary Betsy DeVos' proposed overhaul to the way colleges and universities handle sexual misconduct complaints. 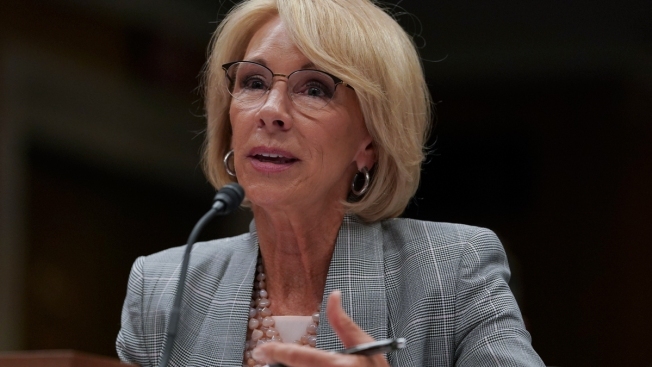 Sen. Maggie Hassan and Rep. Annie Kuster joined survivor advocates on Monday to say the changes will hinder protections for students on college campuses. Gov. Chris Sununu sent DeVos a letter with similar concerns. Under her proposal, colleges would have to investigate complaints only if the alleged incident occurred on campus or in other areas overseen by the school, and only if it was reported to certain officials. Current rules require colleges to review all student complaints, regardless of their location or how they came to the school's attention. Sununu and lawmakers also are concerned that definition of sexual harassment is narrowed.